This Gambit Channing Tatum trench coat is a beauty which must be possessed in the wardrobe of every individual out there. This coat is finished genuine material which is highly durable and the color being camel Brown also looks highly amazing. The best thing about this jacket is that one may easily wear it on any occasion and every venue which is a plus point. However, this Gambit jacket has a front side opening which is embellished with the patterns of lines and embossed styling. The length of this coat is a longer one and the inner being made with viscose appears amazing. This coat is a must have choice for everyone who needs something exciting to wear. I ordered this Gambit Channing Tatum coat for my grandfather and he seriously loved it, for the very first time when I saw him wearing in front of me I was amazed. This coat is very simple and sophisticated and at the same time it appears being very comfortable as well. 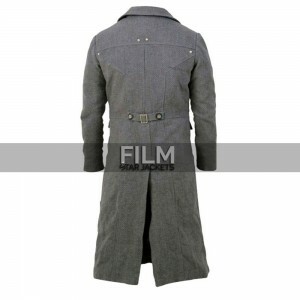 "This is a very nice looking coat and ideal for winter outerwear. The quality of external and internal material is so nice and smooth. I really like th"
"Red color flaps and flairs with black leather jacket having coat features was one of the reasons to go for this winsome and engaging piece. I’ve alw"
"I ordered this Flash Jay Garrick jacket because I had nothing decent to wear casually in winters. However, I found the best when I had this jacket in "